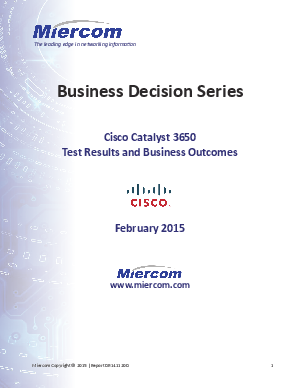 The Cisco Catalyst 3650 is an enterprise access switch – ideal for branch-office deployments. • Up to 48 switch ports (10/100/1000BaseT); up to four integral 10GE uplinks. • Power-over-Ethernet (PoE) and PoE+ support. • Integral wireless support and wireless controller. • License feature sets for L2 and full L3 – IPv4, IPv6. • Stacking of multiple switches, which then act as a single logical switch. • Plus a gamut of management, security and ease-of-use features.